Last weekend me and my wife had a great stay in Luxembourg where we went on a short holiday away from home. 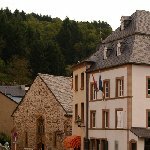 We stayed in Vianden which is a very pittoresque town near the German border, in north-eastern Luxembourg. Besides German influences we also discovered this great Italian place to dine at night called La Trentina. 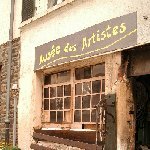 As for accomodation we stayed at Hotel Victor Hugo which was perfect, a great stay in the heart of Vianden and a perfect place to plan your weekend or holiday here. The number one tourist attraction that keeps drawing visitors to this part of Luxembourg is the Vianden Castle and a stay in Vianden without some photographs of this majestic building wouldn't be complete! Did you enjoy Great Stay in Luxembourg and have you been on a holiday in Vianden, Luxembourg? Liked: The hotel, the pittoresque streets and great sites, it was a very relaxing weekend. Disliked: The weather could have been better but at least it didn't rain!